In these statements, Jesus declares his pursuit of us before we knew Him. and of the lost son. In these stories, Jesus communicates to us the outrageous love of the Father to go and look for that which was lost, to leave the 99 to find the one, to tear the house upside down to find the missing coin. They talk about the celebration that happens when that which has been lost has been found. We look for things that are important to us that are missing. I had to go to Venezuela on one of my teaching journeys. Now, I was in Tampa for a conference. I was to travel home, sleep for a few hours and then go to the Venezuela the next morning on mission work. I was only going to spend 12 hours in my house before going on to the Venezuela. When I got home to help my wife pack for our family, we discovered that our passports were missing. That was the most stressful night in the life of our family in probably 10 years. My wife and I finished the evening at 10:00 or 11:00 at night after searching every corner of our house. We were looking through the trash cans. We were looking through the safe. We were pulling out dressers. We were tossing things upside down. We looked through every single piece of luggage that we had. We were looking in all of our backpacks, and we went looking through the toy boxes in our children’s bedroom. We made a giant mess in the process because those passports would determine our destiny. 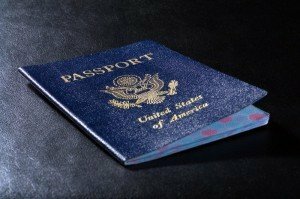 Those passports would determine if we could get back into the country, exit the country, or enter the country with which we were going. Those passports would determine if we were leaving at 8:00 the next morning. Those passports would determine our destiny. They were the most valuable thing in the world. And when we couldn’t find them, we were breaking down in tears. I can imagine the widow missing her coin, the stress that she was carrying, and tossing that house upside down. We went to bed that night in tears. We cried ourselves to sleep. Then I hear the scurrying of feet across the tile floor, and I hear something some banging around in a seat bench where we store backpacks. My wife had a dream, and in that dream she saw where she put the passports in her last trip. It was a secret compartment in a black bag that was invisible in the poor lighting in which we had. There were four gorgeous passports. We found them! We found them! Can you imagine the celebration that erupted in our house that morning? Can you imagine the celebration as that stress just washed right off our backs? When we finally got to the airport gate waiting area, we cried in relief. Our taxi driver in Venezuela heard the story. Our friends in Venezuela heard the story. Those precious passports were the most important thing in the world at that moment and we had found them. We wanted everyone to know we had found them. As I ponder the story of the widow looking for her coin, and the celebration she had, can you imagine the joy in God’s heart when that which was lost has been found? Can you imagine God’s heart for you as God sought you and brought you to faith? God takes the initiative to seek after you. Get to know the Father’s heart.